As Idiomation shared on Thursday of last week, making a mountain out of a moleskin or a molehill is to over-react to a minor issue, or to make something very small into something bigger than what it happens to be. While the moleskin version has a short history, the better-known molehill version stretches much farther back in history. We all know the expression to make a mountain out of a molehill is in use to this day. Whether it’s Jennifer Kunst, Ph.D. writing an article for Psychology Today (13 December 2013, How To Make A Mountain Out Of A Molehill) or Laura Cano Mora submitting her doctoral thesis titled, “How To Make A Mountain Out Of A Molehill: A Corpus-Based Pragmatic and Conversational Analysis Study of Hyperbole In Interaction” everyone seems to understand the meaning of the phrase. Even kids watching cartoons like “Phineas and Ferb” have heard the saying used in episodes such as “At The Car Wash” when the evil Dr. Doofenshmirtz explains to Perry the Platypus how he came up with the idea for his Mountain-Out-Of-A-Molehill-Inator. It would seem that after he was told repeatedly by people from all walks of life (from his parents to the firefighters at the local Fire Department) to stop making mountains out of molehills, he decided that if he wasn’t already doing that, maybe it was time he started really doing that. So he did. There is such a thing as making a mountain out of a molehill. The point of his comment was that the Superintendent was of the opinion the Sergeant was making way too much of something as trivial as a tiny paint smudge on the door. He was wrong, of course, as that tiny paint smudge on the door proved very important after all. IMPORTANT NOTE 1: Wilkie Collins was the son of English landscape painter William Collins (1788 – 1847) and is considered the pioneer of detective fiction. His talent lay in his ability to create, choreograph, and master intricate plots coupled with a unique narrative technique. IMPORTANT NOTE 2: Wilkie Collins’ book “The Moonstone” set the standard by which all other detective fiction is measured. In this novel, the story was told from a number of points of view having to do with a stolen diamond taken from an Indian idol. The idiom to which Nicholas Udall referred was from Greek satirist Lucian (120 – 200 AC) in his work “Ode To A Fly” in which he compared an elephant to a fly. The Latin version of this was elephantem ex musca facere. Of course, as was shared in a previous Idiomation entry, the elephant version is still in use in Russia to this day. IMPORTANT NOTE 3: Lucian, also known as Lucian of Samosata, was a satirist and rhetorician in Greece. He claimed to be an Assyrian however not everyone agreed with his claim. He mocked superstitions, religious practices, and beliefs in the paranormal although he claimed to believe in the existence of the gods. So while the moleskin version of this expression only dates back to the early 1900s, the molehill version is solidly nailed to 1548 with a nod to Ancient Greece. Oh, what a difference 350 or so years (plus another 110 or so years to catch up to 2017) can make when it comes to similar, and yet very different, expressions. When someone talks about bringing bell, book, and candle, they mean that something unusual, unexpected or bizarre will soon happen. 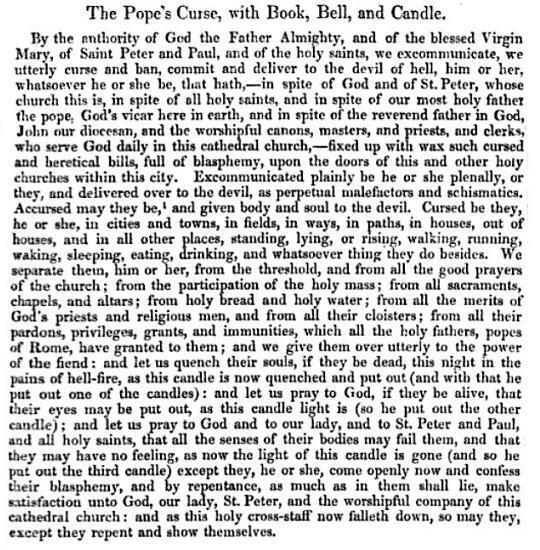 It’s important to note that these three items — book, bell, and candle — are all used in the celebration of the Roman Catholic mass. Back in the day, if you wanted to curse a Catholic, all you had to do was to do it “by bell, by book, and by candle, and by all that is Holy.” In saying this, you closed the book (Bible), silenced the bell, and put out the candle damning the person to spiritual death. Knowing this, it’s almost humorous to note that in the December 4, 2008 edition of the Southern Herald in Liberty, Mississippi mention was made that the Liberty Bell, Book and Candle store had relocation, making sure to mention that its current location was across from the Courthouse and that its previous location had been near the Liberty Baptist Church. The Boca Raton News of November 24, 1986 published an article on “The World’s Most Haunted Country.” The article referred, of course, to the many haunted houses and locations in Britain — a country whose first official ghost-hunter was Dr. Robert Morris, identified as an American expert who had been inaugurated as the Koestler Chair in Parapsychology at Edinburgh University. At last, the priests found out a toy to curse him, whatsoever he were, with book, bell, and candle; which curse at that day seemed most fearful and terrible. The manner of the curse was after this sort. The text of the Pope’s Curse is clear. You were in big trouble once the Pope’s Curse was put on you. Sir, said the noble clerk, leave this opinion, or else I shall curse you wyth book and belle and candell. Do thou thy worst, said Sir Mordred, wit thou well I shall defy thee. Sir, said the bishop, and wit you well I shall not fear me to do that me ought to do. Also where ye noise where my lord Arthur is slain, and that is not so, and therefore ye will make a foul work in this land. Peace, thou false priest, said Mordred, for, and thou charge me any more, I shall make strike off they head. So the bishop departed, and did the curse in the most orgulous wise that might be done. And then Sir Mordred sought the bishop of Canterbury for to have slain him. Then the bishop fled, and took part of his goods with him, and went nigh unto Glastonbury, and there he was as priest hermit in a chapel, and lived in poverty and in holy prayers: for well he understood that mischievous war was at hand. 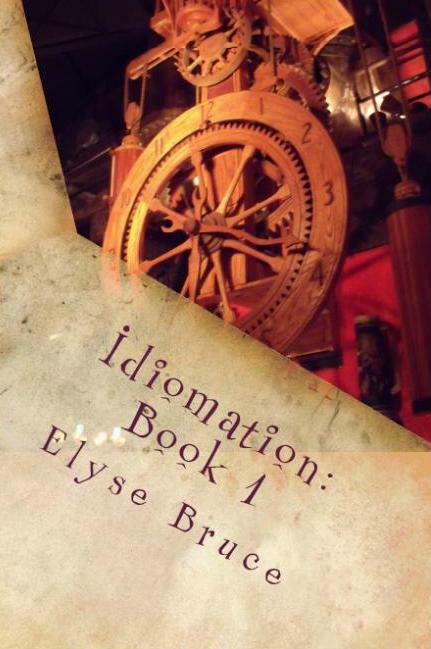 Idiomation traced the book, bell and candle curse back to the “Cursor Mundi: The Cursor O The World: A Northumbrian Poem of the 14th Century” published in 1300. 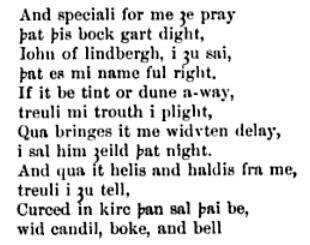 The last two lines make mention of bell, book and candle, but in reverse order. Curced in kirc an sal ai be wid candil, boke, and bell. That being said, it is interesting to learn that in all, there are one hundred and third two curses from the Church of Rome including one all-inclusive universal curse on all heretics in the world that can is held for use on Holy Thursday if the Pope so wishes. Many of these curses go back to the first Nicaean Council in Bythynia, convened by Constantine the Great (27 February 272 – 22 May 337) — also known as Flavius Valerius Aurelius Constantinus Augustus — in 325 AD! Among the attendees was Nicholas of Myra, the bishop upon whose life the Santa Claus legend is based, and the Pope at the time was Sylvester I who rose to the position on January 31, 314 and remained Pope until his death in 335 in Rome. While it’s true that some claim the curse is directly related to witchcraft, the fact of the matter is, the curse is one hundred percent vested in Christianity with nary a bit of witchcraftery. How far back the curse goes is anyone’s guess, but it certainly doesn’t pre-date Christianity. The Edict of Milan in 313 guaranteed Christians of their legal rights and the return of confiscated property to their rightful Christian owners. That being said, Marcion of Sinope’s heretical “New Testament” is responsible for Christians establishing and recognizing their New Testament canon around 140 AD — one that recognized the 27 books of the New Testament that was written around 45 AD. What this means is that it’s a safe bet that the Pope’s Curse with bell, book and candle was one that happened after sometime after 314 AD, but Idiomation is unable to peg the exact date the curse came into being. Every once in a while you hear someone talk about a run-in they’ve had with a third party, and they state if looks could kill … oftentimes leaving the rest of the sentence unfinished. What they mean is that the third party was so angered by what the person had said or done, that they cast a nasty look in that person’s direction. Asked whether he stared at Lindgreen, George testified that he simply gazed at each driver, including Lindgren, in the room at various times, making eye contact per his training on how to address a group. George does not expressly deny staring at Lindgren, or giving him a “if looks could kill” stare at the beginning of the meeting, nor does he assert that he never saw the “Big O” on Lindgren’s shirt. Author Henrik Ibsen (20 March 1828 – 23 May 1906) wrote a number of plays including “The League Of Youth: A Comedy In Five Act” which was published in English in 1965 by Penguin Books (it was originally published in 1869). Madame Rundesholme — referred to as Madam in the play — is the widow of a local tradesman, Daniel Hejre is Daniel Hejre, Lundedstad is the farmer Anders Lundedstad, Mr. Stensgard is a lawyer, and Thora is Chamberlain Brattesberg’s daughter. The action takes place near a market town in the southern part of Norway. The expression is found in this passage. Yes, of course I accept him. A girl’s got to be careful of philanderers, but when you’ve got it in black and white that a certain person’s intentions are honourable, why then … Oh look, here’s Mr. Stensgard, too! Well, Mr. Stensgard, aren’t you going to congratulate me? If looks could kill …! I’m sure he is, Madam Rundesholme, but won’t you congratulate your future sister-in-law? Ragna — she’s engaged, too. Harry Childs had never been in high favor in that court, and if looks could kill he would then and there have preceded his client into eternity. Outwardly, however, the judicial calm was unruffled. Rolling back to January 1853 and “The New Monthly Magazine: Volume 97” in a story entitled, “Lisette’s Castles In The Air.” It is attributed as being from the Danish author and poet, H.P. Holst (22 October 1811 – 4 June 1893) and transcribed by a Mrs. Bushby. “What have you done? What am I called on to forgive? You false, deceitful one!” he cries, passionately interrupting her, while he endeavours to break away from her. And so the concept of looks being able to kill is traced back to the Triballians and the Illyrians by way of this passage. Triballians were an ancient tribe that inhabited what is now known as southern Serbia and western Bulgaria, and were influenced by the Celts, the Scythians, and the Illyrians. Illyrians were an ancient tribe that inhabited the western Balkans and the southeastern costs of the Italian peninsula. The tribe appears to have died out, according to historical records, in the 7th century. Both tribes are mentioned in Greek texts from as early on as the 4th century BC. Greek mythology dates back to between 900 and 800 BC, and while it’s possible that the abilities attributed to some Triballian and Illyrian women may be as a result of the myth of Perseus and Medusa. Medusa was one of three Gorgon sisters (the three sisters being Medusa, Stheno, and Euryale). It was said that Medusa had the ability to turn to stone those who gazed upon her countenance. That being said, Greek mythology seems to pre-date the Triballians and Illyrians, and so it is reasonable to identify this idiom as being one that comes straight from the Greek myth of Perseus and Medusa. Sometimes you’ll see people get to a point where they say that the latest takes the cake. Now they don’t literally mean that someone sneaked into their kitchen and made off with any baked goods that might have been on the counter. What they mean is that the most recent event is, in their opinion, more than they are willing or able to accept as fact. In other words, it’s an expression that states something or someone is unbelievable (in their behavior or attitude), incredible, or ridiculous. When reviewer Anna Thompson wrote a piece on November 16, 2011 that compared the two major gaming consoles on the market, she did a comparison of the Sony PlayStation 3 and the Microsoft Xbox 360 … two gaming consoles that were at the heart of any serious gamer’s collection and discussions. The article imparted this information to those who were wondering which console would best suit their gaming needs. When it comes to trust a console, the PS3 takes the cake again. The infamous Red Ring of Death (RROD) Xbox 360 is something that every player dreads and it is amazing how so many people still complain about this problem. The PS3 also suffers from problems once in a while, but there is no lack of such debilitating and notorious RROD, that can affect it. It is not what Mrs. Pat Campbell says or does that provokes the critics, but rather what she does not say or do. She is not a beauty, according to our American canons, but her dresses — oh my, my, my! — they are a revelation, a miracle of the costumer’s art, which would make Worth’s most splendid creation look like the blanket of a Hottentot. When you talk of style, Mrs. Campbell takes the cake and with it the entire bakery. There is no changing the hard, granite fact that she has caught the town, that her houses are packed and Mrs. Campbell and her manager are reaping a golden harvest. The result was, they got up a horse and fifty dollars in money a side, to run on Saturday at two o’clock, each one to start and ride his own horse, judge tops and bottoms — the winning horse takes the cakes — and no back out! Either party refusing to run forfeits the whole stakes. Not to give away any part of the story, suffice it to say that the twists and turns in the story are both hilarious and well thought out, and as such, should you happen across a copy of this book, I highly recommend you read this story first. You’ll understand why when you reach the last page. 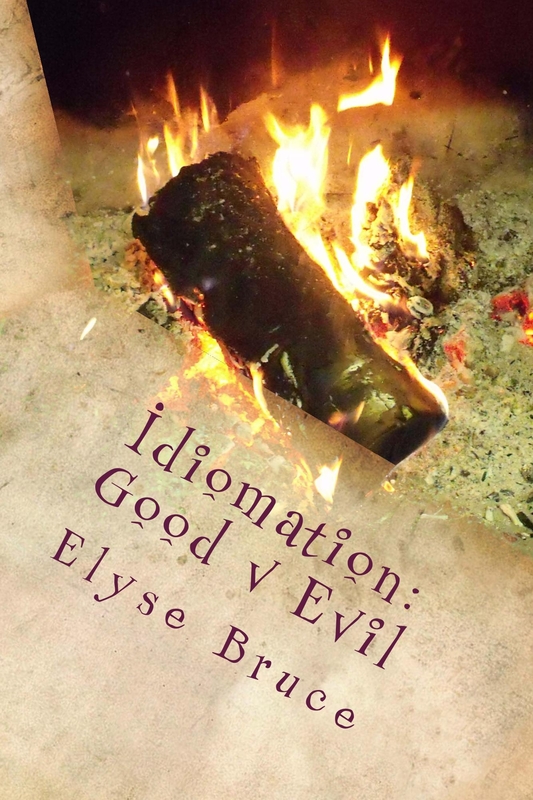 In any case, over the centuries, there have been many instances where the phrase has been used in one form or another, but the earliest version surprised Idiomation … a reference that took the idiom all the way back to Ancient Greece! sing we ho! for Victory’s sake. then indeed we take the cake. The audacity of it all would lead to the group taking the cake, and as it were, this play certainly plays out in a most outrageous way through to the end. That being said, the expression dates back to 424 BC thanks to Aristophanes! Have you ever heard the expression: A woman’s place is in the house? If you hear that these days, it’s a good chance the speaker is either baiting you, or there’s a witty play on words about to happen. But the fact remains that the expression will always have a place in society. Back on Jun 6, 1925, the Toledo News Bee newspaper published a United Press story out of San Antonio, Texas that had to do with elections for President of the General Federation Of Women’s Clubs. It was reported that by a convention vote of 555 to 434, the candidate from Baltimore had been elected President. Mrs. John F. Sippel of Baltimore, whose campaign slogan that a “woman’s place is in the home” won her a victory over her “business woman” opponent. A woman’s place is her own home, and not her husband’s countinghouse. A Woman is to be from her House three times: when she is Christened, Married and Buried. Let the women stay at home and hold their peace. As much as some women may not appreciate hearing the expression, the fact of the matter is that it has a history that stretches far back into Ancient Greece. In the end, however, perhaps the expression is more of a compliment and acknowledgment of the great impact mothers have on their children than a slight against them. A leopard can’t change its spots and it looks like Tyrone was right to be suspicious about his mum Jackie having turned over a new leaf. After Tyrone and Molly spend a worried night in the car waiting for Jackie to return, Tyrone’s mood turns to anger when she crows about pulling yet another scam. Ezzard, no hazard, like the leopard, can’t change his spots. There’s no denying he is a good fighter, the best heavyweight around until the night the aged Louis proves otherwise, but he could be a far greater and exciting one if he’d just “give” a little more. That he never will. We’re all convinced of that. It is an old saying, that it is difficult for the leopard to change his spots. It semes from actual experience that it is almost as difficult for the old time republican to leave his party. With many of us upon whom party affiliation sits lightly; what we mean is that we care nothing for the name, it is principles we want; we can’t fully appreciate how a man who voted for Lincoln, Grant, Garfield, and that long line of illustrious heroes and statesmen, now dead,will put so much stress upon a party name. The American Heritage Dictionary of Idioms by Christine Ammer states that it was first recorded in English in 1546, but no source was provided. This doesn’t mean that it wasn’t first recorded in English in 1546, only that Idiomation has not identified what that source may be. The Book of Jeremiah in the Bible was written between 630 and 580 BC, at a time when the Law Of The Medes and Persians was a forgone conclusion. The Mede were an Indo-European people who inhabited ancient Media, and who had established an empire during the 7th century. And as with the law of the Medes and Persians, it was believed that the laws of nature could not be altered or changed either. When someone beats the air, it’s because he or she is fighting without accomplishing anything. If you imagine someone’s arms flailing about at nothing, that’s a good literal representation of the figurative meaning of the phrase beat the air. This rematch ended far more decisively than their meeting Feb. 25. Although Mosley stopped [Fernando Vargas] both times, the first fight ended when referee Joe Cortez stepped in to prevent Vargas from fighting the last two rounds because his left eye was swollen shut. When Cortez waved his hands, Vargas beat the air with his fists and insisted he would have beaten down the tiring Mosley had he been given the chance. How easy it is to pass the buck for our failures, to flounder through life blaming somebody else or even some thing else instead of ourselves. I’m thinking of Hannah, nearing 30. She has a job of a sort …. No wonder he always runs. What a pity no one tips Hannah off. What a shame for her to beat the air from one year to the next. In New Zealand, the Marlborough Express published a news story on April 21, 1904 about then Opposition leader, Mr. Massey and how the electorate in New Zealand saw both him and his party. The following is an excerpt of that news story. It is too late in the day to go back to first principles to find a line of party cleavage. And to tell the people that the present Government has fallen away from the lines of grace laid down by Mr. Ballance is to beat the air to no purpose. The old lines are obliterated beyond all human power of redrawing, as Mr. Massey himself admitted when he contended that there is nothing to find fault with in the legislation of the Government, which is the party in power. Unfortunately for the whig press it might “as well beat the entrenchant air” as attack the Duke of Wellington; the character of the noble Duke is a national concern; and in whig abuse of his grace the people of England feel themselves insulted. Going back several centuries to the days of the Apostles, the lower regions of the atmosphere was referred to as air as opposed to the higher regions of the sky which was referred to as the heavens (1 Thess. 4:17; Rev. 9:2; 16:17). Ancient philosophers regarded air as an element since they didn’t know that air is essentially a mixture of oxygen and nitrogen with a small amount of carbon dioxide. This is important to note as the expression beat the air is found in the Bible. In fact, the earliest published version of the phrase beat the air is attributed to St. Paul. While it’s true that boxing was a sport that ancient Romans and ancient Greeks enjoyed, and while it’s true that there are accounts of boxers beating the air prior to a boxing match, Idiomation was unable to find an earlier published version of this phrase. When you hear the expression, “In the country of the blind, the one-eyed man is king” it’s a nice way of saying that even a person with limited abilities and knowledge is at a great advantage in the company of those with lesser abilities and less knowledge than he. On June 6, 1920 the New York Times published a news story entitled, “Millions Wasted To Elect President!” It spoke of the enormous campaign finances dribbled away by professional campaigners, running minimally efficient headquarters for candidates all the while presenting with a big business atmosphere. In the monarchy of the blind, the one-eyed man is king. In the field of activity of the professional campaigner there may be a Cabinet position in store for the man whose industry nothing can abate and whose political ineptness nobody can deny. On January 21, 1859 in Volume II, Issue 131 of the Colonist newspaper published in Nelson, New Zealand, the paper reprinted the address of Lord Stanhope to the University of Aberdeen. A large part of the wisdom, the experience, and the actual power of the country is unrepresented in Parliament, through the taciturnity or defective expression of our public men while, as a natural consequence, many who have little else than a ready command of words obtain an influence beyond their just worth. “In a people of the blind, the one-eyed man is king;” and in an assembly of bad speakers or mutes a very ordinary orator will get more than his due. It must be so at the bar, and in the pulpit also. A century prior to the publication of the Reverend Donald MacIntosh‘s book, the proverb was cited by John Ray in 1678 and referenced as being an English proverb. His twist on the Bible passage was, “A man were better be half blind than have both eyes out.” In other words, not only would a half-blind man be able to avoid the ditch, he might find himself in a position if leadership among those who were completely blind. Dutch philosopher Desiderius Erasmus (1466 – 1536) published a book commonly referred to over the centuries as “Adagia.” The first edition was actually entitled “Collecteana Adagiorum” and was published in Paris in 1500. It was a slim book with approximately eight hundred proverbs. Erasmus rename his book, “Adagiorum Chiliades” when it was republished in 1509 with an impressive 3,000 proverbs and adages this time, many with explanatory notes that read as brief essays themselves. Over time, subsequent editions of his book saw the addition of more proverbs and adages with the final edition containing 4,658 proverbs and adages. As it was a commonly used expression at the time Desiderius Erasmus published his book and considering his interest in the Scriptures, it is not unreasonable to believe that the proverb does, indeed, come from the Bible and made it into common language via the Catholic Church.